This is to inform the general public especially candidates that applied for N-Build last year 2016 that Npower has started sending text messages (SMS) to qualified candidates for training at National Orientation Agency. The training begins October 2017. Please kindly note that the pre-selection list for the N-Build volunteers are in batches. If you wrote the assessment test last year 2016, you will be pre-selected for the training. 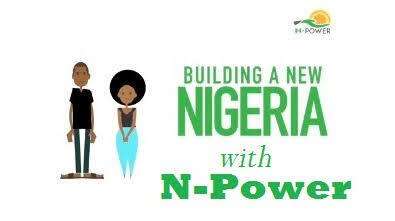 Npower build is one of the category of npower 2017, applicants under this category are expected to undergo training in masonry, carpentry, automobile, electric and electronic, after the training they will be empowered and discharged so that they will start their businesses and stand on their feet. Below is the format of text message (SMS) N-Power is sending to selected volunteers. Congratulations Haruna, you have been pre-selected from the 2017 N-Power Build Application to partake in the N-Power Build Skills and Competencies training. Before you can attain final selection, you are hereby invited to undergo a Physical Verification exercise at the National Orientation Agency (NOA) office in Potiskum, Yobe between Monday 23/10/17 and Friday 27/10/17 Congratulations to the volunteers on the pre-selected list.